All info provided is from scag.ca.gov. The Regional Housing Needs Assessment (RHNA), mandated by California State Housing Law, is part of the periodic process of updating local housing elements of the General Plan. The RHNA quantifies the need for housing within each jurisdiction during specified planning periods. The most recently completed RHNA planning period is January 1, 2006 to June 30, 2014. The 5th cycle RHNA Allocation Plan, which covers the planning period from October 2013 to October 2021 was adopted by the Regional Council on October 4, 2012. Fifth cycle housing element updates must be adopted by October 15, 2013. Communities use the RHNA in land use planning, prioritizing local resource allocation, and in deciding how to address identified existing and future housing needs resulting from population, employment and household growth. The RHNA does not necessarily encourage or promote growth, but rather allows communities to anticipate growth, so that collectively the region and subregion can grow in ways that enhance quality of life, improve access to jobs, promotes transportation mobility, and addresses social equity, fair share housing needs. What is RHNA? How does RHNA relate to the General Plan? 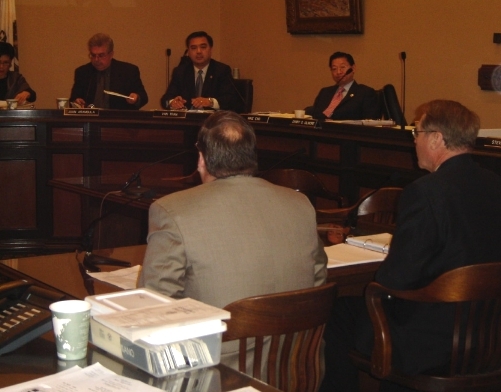 Every General Plan must contain a housing element that makes “adequate provision for the existing and projected housing needs of all economic segments of the community.” Unlike the other elements, the housing element must be revised and updated every eight years after 2010 due to SB375. Despite the wording, a community is not obligated to actually provide housing to all in need. RHNA is a “distribution of housing development capacity” that each city and county must zone for in a planning period. It is not a “construction need allocation,” and is integral to the development of a Sustainable Community Strategy. The housing element is a planning document, requiring the community to plan for meeting its “fair share” of regional housing market need. The scheduled 2012 RHNA will set local housing and land use capacity goals to support future growth, including transit oriented, mixed use and infill development. These local goals are in turn aggregated into a region wide Sustainable Community Strategy (SCS) to fairly allocate Green House Gas (GHG) emission reduction targets across the region. SB375 calls for a RHNA to be consistent with an SCS, and a Regional Transportation Plan (RTP) must be coordinated with an SCS and RHNA over eight years even though the transportation plan is updated every four years. What are the major issues related to RHNA? process so that localities have adequate time to update their housing elements by the next statutory deadline. What are the land inventory requirements for RHNA and Sustainable Community Strategy (SCS) requirements? State HCD has determined default density standards and notes that cities under 25,000 in population can use a land inventory residential density standard of at least 20 units an acre or more to accommodate lower income households in their housing element update, while communities with a population greater than 25,000 must use a default density of at least 30 units per acre. Because there are a number of concerns about how these land inventory standards are being applied by HCD in their review of local housing element updates, the Department is in the process of forming a Working Group to make recommendations on ways to improve the HCD review process and address SB375 implementation issues, in particular meeting SCS housing planning requirements. What are the incentives for RHNA compliance and penalties for non‐compliance? - Suspend authority of the entity to issue building permits or any other related permits for residential housing. - Suspend the authority of the entity to grant zoning changes, variances, or both. In sum, having a housing element in compliance gives local governments a preference for discretionary bond and housing funds administered by State HCD. It also offers legal protections in case of a lawsuit over the adequacy of the General Plan or in meeting any required re‐zoning requirements to meet RHNA goals. The law also provides attorney’s fees to groups if they prevail in a lawsuit challenging noncompliance. Communities concerned about “penalties” for non compliance are always urged to discuss this matter with their City Attorney. La Habra Heights Mayor Howard Vipperman and California Assemblyman Curt Hagman at Sacramento Housing Committee in support of AB2425. 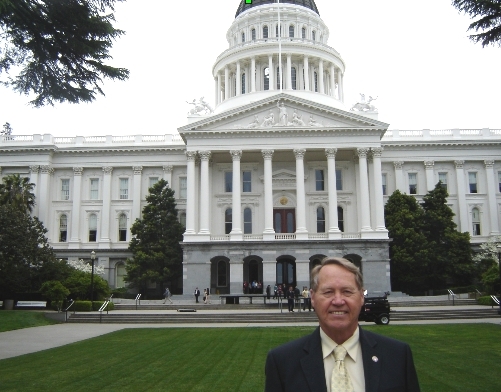 City Councilman Howard Vipperman went to Los Angeles in 2007 and testified in front of SCAG (Southern California Association Governments) to plead La Habra Height’s case to reduce its low cost housing / high density housing quota under RHNA requirements. He argued that LHH infrastructure was incompatible and insufficient for high-density housing. 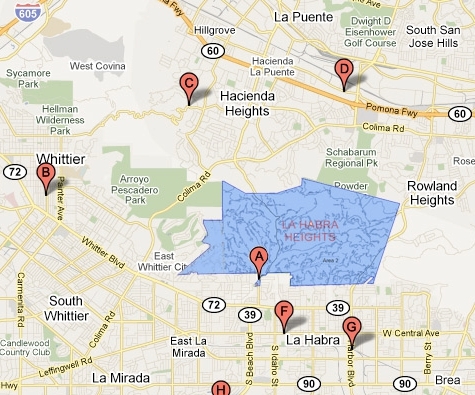 La Habra Heights has no stores, gas stations, buses or other services needed to support this mandate. LHH is a rural community established among rolling hills. He also pointed out that a large percent of the city belongs to the Habitat Authority. He was able to reduce La Habra Height’s high-density housing quota.